The close relationship between laboratory investigations and human general pathology requires the laboratory medicine as a necessary interdisciplinary specialty, needed for evidence-based medical practice. The objective of the journal is to publish high quality papers prepared especially by young scientists from all over the world, with emphasis on matters of Laboratory Medicine (Clinical Biochemistry, Immunology, Hematology, Microbiology, Genetics and Molecular Biology). 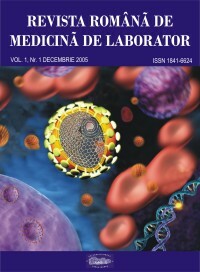 The Romanian Journal of Laboratory Medicine, as official publication of the Romanian Association of Laboratory Medicine, publishes on a quarterly basis since December 2005. The Romanian Journal of Laboratory Medicine seeks to be a forum where all practitioners and researchers interested in the field are able to disclose the results of their work or to share their views on the theoretical aspects of laboratory medicine. 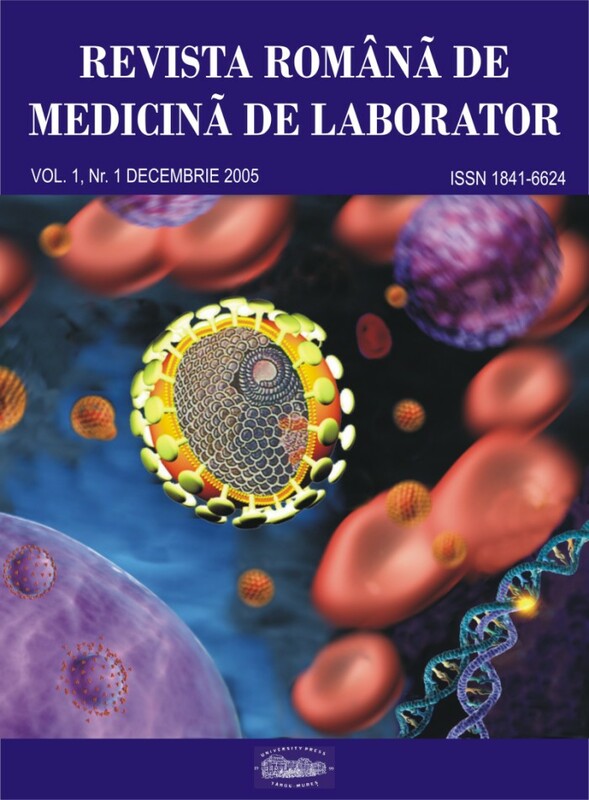 The Romanian Journal of Laboratory Medicine publishes peer-reviewed original papers, general and professional reports of laboratory medicine. The objective of the journal is to publish new information that would lead to a better understanding of biological mechanisms involved in human diseases, their prevention and diagnosis as early as possible, and to improve therapy and evolution monitoring. The journal also includes a section entitled "Lecture Notes", targeted at medical residents and other professionals wishing to update their knowledge in the areas addressed. We hope that the Romanian Journal of Laboratory Medicine will make an important contribution to the international dissemination of the results of Romanian medical research. Publication frequency: four issues per year (January, April, July and October).